As we enter the last month of winter, when we think of bundling up, it’s usually in the context of staying warm. This is also that time of year when most of us are filing our tax returns; bundling up in that context involves utilizing tax-saving strategies to take advantage of recent changes in income tax laws. One bundling strategy involves the establishment of a Donor Advised Fund (DAF). Financial professionals from our community volunteer to help local Jewish organizations cultivate legacy giving. We asked one, Barry Wechsler, a CPA and past president of Temple B’nai Shalom in East Brunswick, to share tips for donors of all ages to invest in a strong future for the Jewish institutions they care about most by using a DAF. Q. What’s so special about your synagogue that inspired you to devote so much of your time to ensuring the success of its legacy program? A. When growing up I attended a Jewish day school, giving me a background to be committed to Judaism. Early on in my membership at Temple B’nai Shalom I remember sharing some of my thoughts with the education director, who challenged me to get involved. Twenty years later I have had many leadership roles and served three years as the president of the temple. The temple is a family where we all share in different types of lifecycle events. Getting involved in all facets of synagogue life felt natural and added special values of community and comfort to my life. In recently becoming a first-time grandfather, the legacy of synagogue life has become even more important to me. I want to be sure that my granddaughter will have a Jewish home where she will be able to share simchas and be educated along with the other children. The sense of community and the comfort, both spiritual and practical, that the temple has provided us need to be maintained and transmitted for us and for future generations. Q. Can you suggest some easy tax-saving opportunities under the new income tax laws for donors to lower taxes in 2019 and beyond by utilizing a DAF? A. In simple terms, a DAF is a personal charitable-savings account. The donor decides to make a gift to a tax-exempt organization that has a DAF program, but they haven’t yet decided when or to whom the funds will be distributed. For tax purposes, it’s a deductible gift to the organization holding the DAF, but the donor retains the right to make recommendations to other tax-exempt organizations. By bundling donations in one year, donors may be able to itemize deductions and then take the newly increased standard deduction in succeeding years when donations are not made. This can work especially well in years with very high earnings where tax savings are potentially higher. 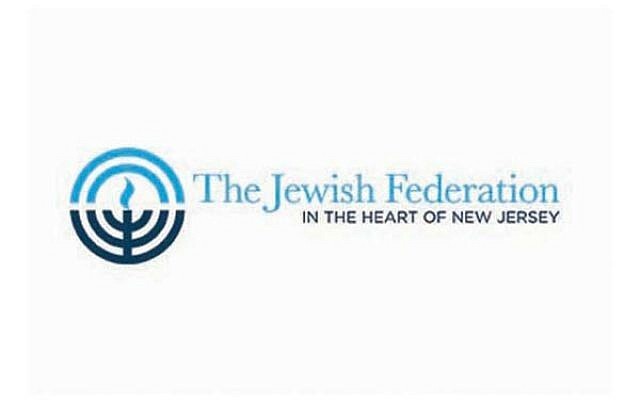 The Jewish Federation in the Heart of NJ administers a DAF program through its Jewish Community Foundation. Funds are invested under guidelines established by the federation’s Investment Committee. There are currently 28 funds with a total market value of $2.4 million. Susan Antman, who was recently appointed executive director of the federation, has been actively involved in promoting this program during her 18-year tenure at the federation, including securing a $1 million DAF gift in 2017. Q. Are there other reasons to utilize a DAF? A. Donors have more time to plan their donations and can consult with the professional staff of the DAF holder to get advice on potential charities to support. Donors can avoid a lot of paperwork by utilizing a DAF for their giving. They simply notify the DAF holder who handles check writing for distributions based on their instructions. Income earned by the DAF is not taxable to the donor and can increase their ability to recommend gifts to support the charities of their choice. They are easy to set up and have low initial minimum gifts, overhead, and minimum-distribution amounts. Q. You have been very successful in building long-term relationships with DAF donors. What have you learned about them? A. Since they have taken the extra step of establishing a formal vehicle to make charitable gifts, they are serious about making an impact with their philanthropy and doing it as soon as they can find causes that are meaningful to them (almost 40 percent of the funds are distributed within one year, 75 percent within five years). DAF gifts are usually higher than typical contributions. DAF donors often volunteer at the organizations they support, will work together with their charitable beneficiaries, and want to be informed about the effectiveness of their giving. In many cases, DAF funds are set up to engage family members in philanthropic decisions and to accept additional contributions from them. If you are interested in learning more about the federation’s DAF program, please contact Susan Antman or Paul Rovinsky at 732-588-1800. Note: The advice provided in this article is for informational purposes only and should not be construed as legal, tax, or financial advice. When considering gift-planning strategies, you should always consult with your own legal and tax advisers.